Hi, thanks for dropping by Barking from the Bayou. Since this is the "About Me" page, let me tell you a little about myself. 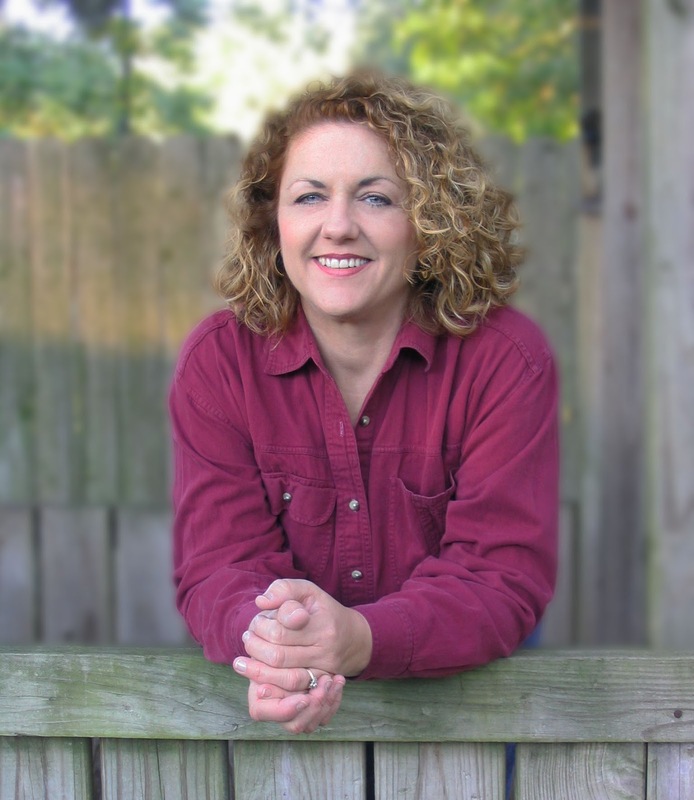 My pen name is M. K. Clinton, but you can call me Melissa. I love writing about dogs and sharing ideas that help make it easier to be an awesome pet parent. I also love to laugh…a lot! But that’s not all. Are you looking for the newest products on the market? You are in the right place! Do you have questions about why your pup is doing what it’s doing? I can help. Maybe you are looking for great contests and discounts. No problem, I have you covered. 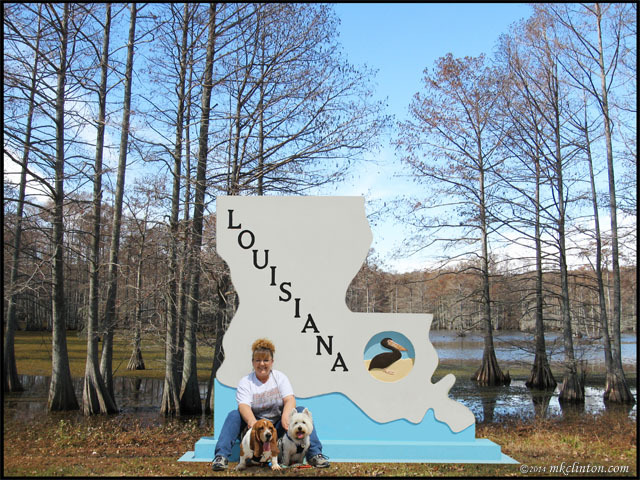 If it has to do with dogs, we are Barking from the Bayou about it! We also feature the BFTB NETWoof News each Monday where our anchors fetch the best animal news around. 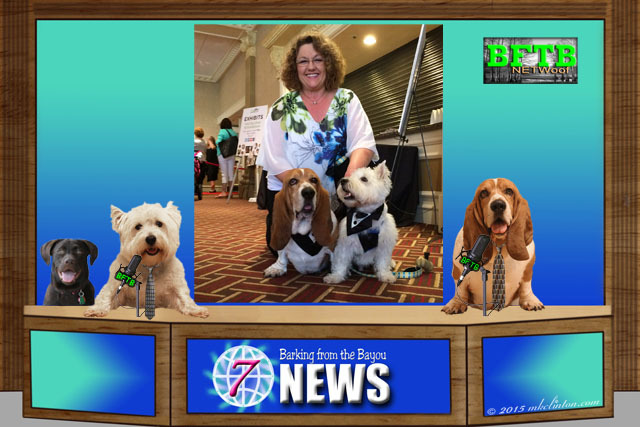 The news team consists of Bentley the Basset Hound, Pierre the White West Highland Terrier and Paisley, our Weather Lab. It is a week’s worth of good animal stories, sports, and the U.S. weather forecast. Don’t worry about their reporting; they speak perfect English with a southern flair. The best way to describe me is GRITS...Girl Raised In The South. 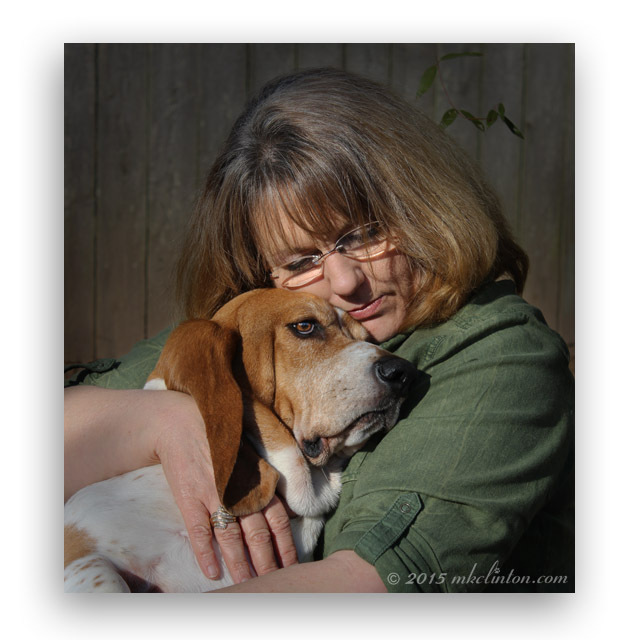 I was raised in northwest Louisiana and lived there with my husband and our four-legged hairy child, Bentley, who is a human trapped in the body of a Bassett Hound until recently. Our "granddog" Pierre, the Westie also lives with us. The two are best friends and have no plans on ever moving out on their own. We are now Texas proud and live not far from Houston which is known as the Bayou City! Barking from the Bayou is a family affair with my husband doing the photography, the dogs offering their opinions and me writing it all down for you to enjoy. I’m also the author of The Returns, a hilarious dog adventure that takes place in New Orleans. The characters in my books are based on my pets’ personalities. I love writing the series because it provides me a chance to laugh with my pets that have crossed the Rainbow Bridge. The Returns and The Returns 2 ~ Showstoppers are available on Amazon.com. Please feel free to contact me at thereturns7@gmail.com for any further information. I hope that you enjoyed your visit and please come back real soon. My main goal is to provide you with great dog information and a smile or a couple of good belly laughs. and many, many more magazine and website. 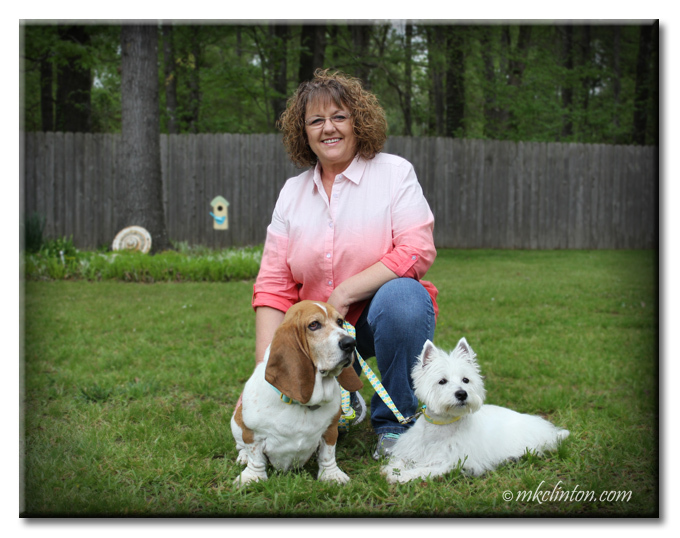 Guideposts, The PupJournal iBlog Magazine and several guest posts on BlogPaws® Executive Blog.